There’s no use in the Arkansas Razorbacks pushing the panic button after their 1-3 start in SEC play. Panic is a useless emotion on the basketball court, and that should be evident to them after their performance at Tennessee. The No. 3 Vols plowed over the Hogs, 106-87, last Tuesday, and if the Razorbacks are honest with themselves, they did show a bit of panic on the road at Knoxville. The Razorbacks didn’t get their act together until the second half when the game was essentially over. 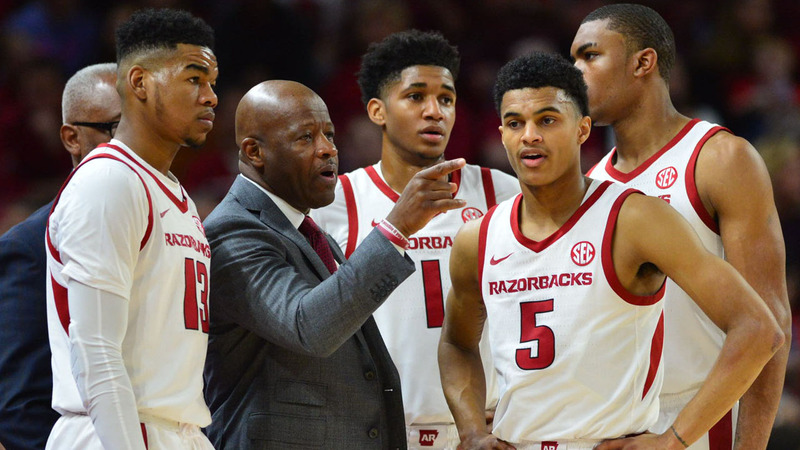 The Razorbacks did play better in the second half, and that is what coach Mike Anderson has been focusing on as the Hogs prepare for the back half of their two-game road swing at Ole Miss at noon Saturday in Oxford, Miss. The Rebels (13-3, 3-1 SEC) had their 10-game winning streak snuffed out Tuesday at Oxford by the LSU Tigers (13-3, 3-0 SEC). The Tigers took control of the game in the second half with their size to post an 83-69 victory at Oxford. The Razorbacks should take a cue from the Tigers, and attempt to work the Rebels inside and press their advantage with the size and skill of Daniel Gafford in the paint. While the Hogs lost to LSU, 94-88, in overtime, the game was arguably their best performance since early in December. Gafford scored 32 points in the game, and while the Hogs don’t necessarily need 30 from their big man to win, he still needs to touch the basketball on every trip down the floor that does not end in a transition basket. Another key to the contest is taking care of the basketball. The Rebels have excellent guard play, led by 6-4 senior Terrance Davis (16.1 ppg.) and 6-2 junior Tyree Breein (17.2 ppg), who work opponents over on both ends of the floor. The Razorbacks suffered 19 turnovers against the Vols, and had them in damaging clusters which allowed Tennessee to capture the momentum early and build an insurmountable lead. The Hogs’ nervousness and tentative play made for an easy victory for Tennessee. A repeat performance of that indecisiveness at Oxford will bring only more misery for the Hogs and an easy victory for the Rebels. Arkansas point guard Jaylen Harris needs to find his equilibrium, and execute at a higher level than he did against the Vols. Seeing the Hogs struggle through their first four SEC games gives little confidence that the Razorbacks will be able to pull it all together on the road against a solid team like Ole Miss. However, in recent years Anderson has been able to get his Razorbacks to respond and play better after similar starts. Again relying on Gafford is a key, but guards Isaiah Joe and Mason Jones must be a factor in scoring, too. After having a particularly poor game against Florida, Joe looked hesitant to shoot against LSU. Maybe, hitting 4 of 6 three-pointers in the second half against Tennessee will help his confidence. Other than Gafford, Jones has perhaps been the Hogs’ most consistent performer. While he is a good outside shooter, he becomes even more dangerous when he cuts and drives. When he’s moving and not setting up for his jumper, Jones gives Harris more options in the Razorbacks’ motion offense. Anderson has a tough decision to make at the small forward spot. Freshman Reggie Chaney is outperforming junior Adrio Bailey and sophomore Gabe Osabuohien. However, Chaney also serves as Gafford’s backup in the Razorbacks rotation which keeps Anderson from moving Chaney up. Bailey is essentially trying to do too much. He needs to slow down and let the game come to him. He needs to learn the virtue of passing after getting an inside rebound and passing up open shots that aren’t in his range. For the first time this season, the Razorbacks looked intimidated last Tuesday against the Vols. Tennessee is a strong, experienced squad, and more than a few teams are going to experience similar beat downs at their hands. However, the Razorbacks — no matter how young they are — can’t allow that to happen at Ole Miss or really against any other opponent the rest of the season if they want to pull themselves out of the SEC cellar and have a chance at postseason play. I would expect the Razorbacks to respond to Anderson and play better against the Rebels on Saturday. Stealing a road game at Oxford would be a huge lift for an inexperienced Razorbacks squad that is still stumbling to find its way as February is quickly approaching. 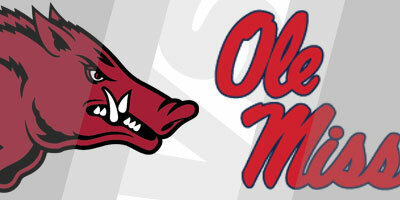 However, winning at Oxford might take the Razorbacks’ best effort of the season.